This is the face of your company. 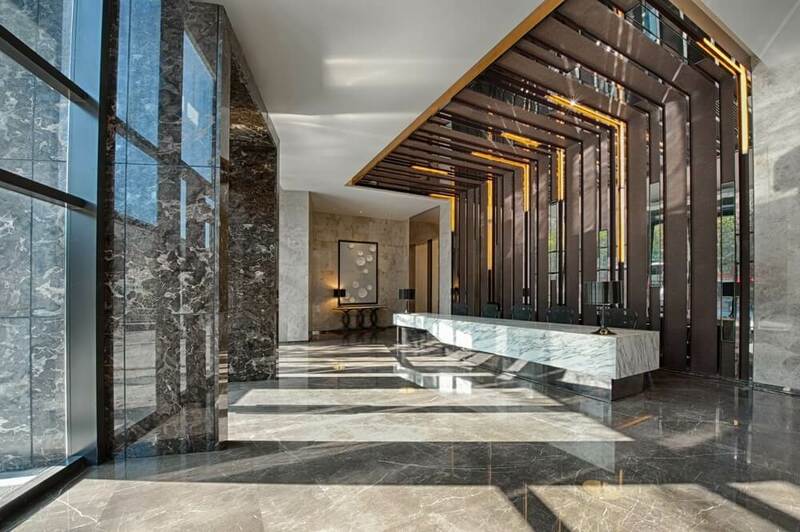 You welcome success every day in your company’s reception area or lobby. Because it’s the first place your visitors and employees see every day, the reception design has a big shoe to fill. It’s the face of your company. You need to make it work! As architects and designers, we’re here to prove that an expensive reception doesn’t equate to better design. Good design is not just about the decorations, the value of building materials used, nor the firm who designed your space. It is about fulfilling a purpose which is leveraging your brand. If you’re conducting a general office makeover, it is highly recommended to prioritize your reception area. It pays to spend a little bit more on the reception compared to any other room in your office. If you’re coming into a conference room or to the CEO’s office, you are most likely focused on the people that you will meet. Conducting business with people will matter more than the interior design of those areas. However, it becomes a different story if you stay in the lobby for some time. Your attention tends to shift towards the interior design. You’ll start to make sense about the environment that you’re in—the company’s brand and culture, the layout of the place, and even the flow of people. While waiting, you’ll develop thoughts and impressions about the company. These impressions last. Whatever you see or experience will affect how you engage in business with the company later on. This proves that the reception is the most important part of your office. There is a need to integrate your company’s personality in its design. You should be able to communicate your vision and culture properly in order to establish a healthy first impression. It also helps you gain the trust of the people entering your office, whether they are your potential clients, investors, or employees. The next thing to do is to plan based on your allocated budget. It’s your step-by-step guide to recreating your office space. Financially speaking, we need to avoid spending more than what is allocated. Overspending is not ideal especially if it can potentially harm business operations. Design wise, you have to consider numerous things such as the flow and theme of the place. Flow in the reception area is about foot traffic. It’s how people walk from one point to another, depending on their business. If the person is an employee, he/she should have easy access to the time and attendance machine and then to the doors of the office. If the person is a visitor, the office design should lead him/her to the front desk or to the waiting area. All of these movements should be natural from the perspective of the occupant. The design must be human-centred. On the other hand, the theme of the place is mainly its interior design. You’re free to design from a single concept or simply based on a particular colour or palette. Make sure that it reflects your brand and your company’s culture. It’s good if you can pick people on your team to do this project with you but if you don’t, you can always seek help from architects and designers. 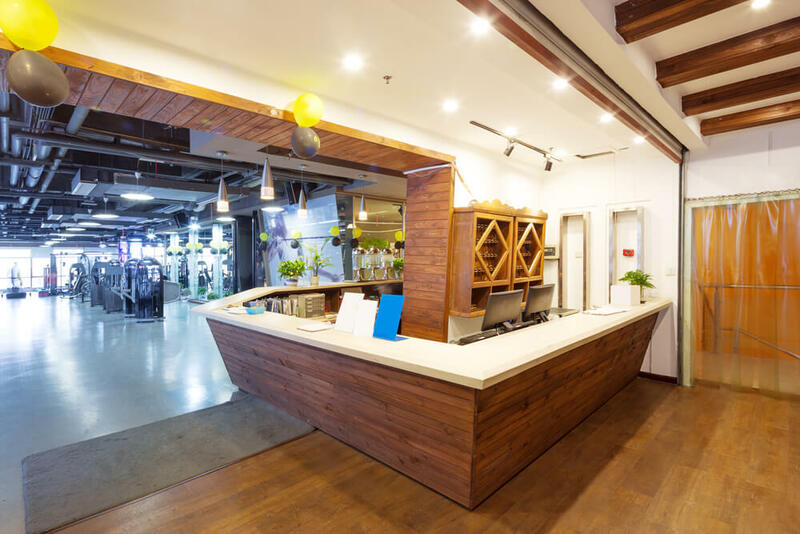 The price of a reception desk varies depending on the design. There are traditional rectangular-shaped desks, L-shaped, U-shaped, and round desks. Circular reception desks are a bit expensive because it’s more difficult to build. In general, the reception desk is similar to any other furniture in the office. It is an investment. Quality should be your basis in choosing the right table. It’s not economical to buy and settle with cheap, low-standard desks which don’t last for more than two years. If the design asks for a laminated table, choose the thick, high-pressure laminated ones. If it requires a steel table, choose the heavier models because it’s more durable. In addition, you have to check everything before settling on the item. Examine each drawer so you’ll get an idea to know how the builder or craftsman assembled it. Don’t trust the parts which are connected using staple or glue. You may also ask for the warranty of the product. It gives you an idea of your table’s lifespan. Mid-range creations have an expected life of five to 15 years, while high-end models can last for decades. Chairs, couch, coffee tables, rugs, and lamps—these are the essential pieces of furniture in your waiting area. The good news is, there are numerous ways to get office furniture at a lower price. The most common would be buying in wholesale from furniture stores in your locality. This way you’re saving money on the item and you’re cutting the cost of transportation from the store to your office. You can also watch out for stores that are going out of business in your country. Most of them have ongoing liquidation sales, wherein slash up to 70%-80% of an item’s price just so it can go. Some designers score brand new and gently used pieces of furniture at a very low cost using this method. Another option would be purchasing the furniture you need online. It’s a hassle-free method. You just browse the catalogue and choose interesting pieces that go with your design plan. However, you have to be careful about buying things online. The photo on the website doesn’t always reflect the real product. Protect yourself as a buyer—always check the reputation of the seller, read a number of reviews on the item, and make sure that everything you’re buying has a warranty. Also, avoid choosing looks over comfort. Some chairs look trendy and high-end but aren’t really user-friendly. Those pieces are a huge waste of money. Instead, look for functional pieces like tables with integrated power/USB outlets for charging electronic devices. Classic pieces of lounge seating and corner tables are good too. Your office day begins in the reception area. Make sure that it appears effortlessly beautiful to the eyes of the visitors and your employees. It should give you a great business image and it should inspire your employees to come to work every single day. We provide affordable and quality architectural and drafting services in Australia and we can help you make a powerful, statement reception design. Leave us a message and we’ll get back to you soon! Is your office in Sydney or nearby areas? Contact a Sydney architect.